Knut the Cute Panda Killing Polar Bear received a death threat on Wednesday, which was later believed to be a hoax. Awww. 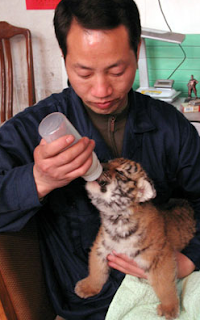 Hu Niu that tigers were such dirty whores? Shun shunning their cubs just so they can screw screw! “With the eyes of the world on “Cute Knut” the polar bear cub, one of Berlin zoo’s other main attractions, a 22-year-old female panda named Yan Yan, died unexpectedly on Monday, the zoo said. 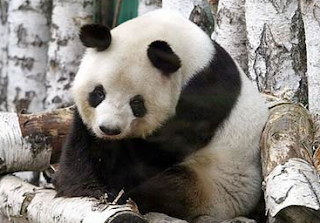 Yan Yan, meaning “beautiful” in Chinese, had lived at the zoo in the German capital since 1995 and was found dead Monday despite having shown no signs of being ill. Life expectancy for pandas is normally around 34. Knut: Ziss is zee best! All eyes on me! Woo-hoo! Ziss is my belly! Yan Yan: I remember when I was your age. Not a worry in the world. No expectations, no boyfriends, just life. 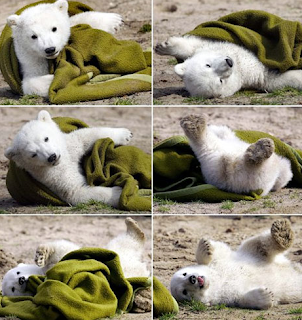 Knut: Ich bin ein Polar Bear! Let me lick your face! 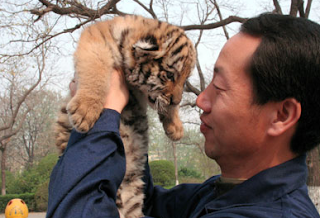 Yan Yan: I mean, what’s so great about Bao Bao? Bao Bao has bad breath. Bao Bao is stupid. Bao Bao only likes to drink Coors Light and watch football. 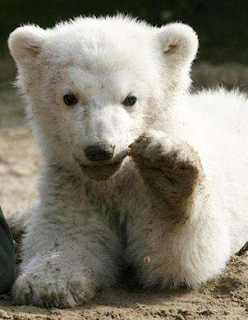 Knut: I do not speakee your language. Ching-Chong, Ching-Chong! Yan Yan: Hey! That’s some way to talk to an old woman! 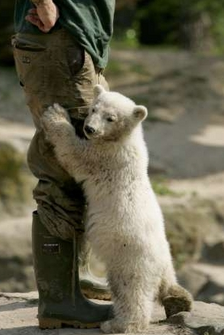 Knut: You’re not my mother! Fick you! Yan Yan: What did you just say? I oughta slap you upside the head with my paw. Knut: Nanny nanny boo boo stick your head in doo doo. Yan Yan: I don’t feel so good. Must be the IBS flaring up again. Knut: A little birdie told me the poison takes twenty minutes. Haha! Look at my ding-dong! Knut: Bye-bye! Auf wiedersehen! Zai Jian! Knut: CHING-CHONG CHING-CHONG CHING-CHONG!!! Whee! Ich just peed my fur pants!